Community of the Tonsured Servant. At over 800 years old, Clan MacMillan is among the most active and vital of Scottish clans. Clan MacMillan International Centre is the headquarters of the clan, located at Finlaystone in Langbank, Scotland where Chief George MacMillan of MacMillan and Knap resides. The Clan Centre also has a museum and an extensive family history archive, the contents of which are gradually being made available on this website as Project MAOL (Macmillan Ancestry On Line). ￼The CTS, a community of honour within Clan MacMillan, was founded at Chautauqua, NY, USA, in 1995 at a clan gathering hosted by the Rev. Canon A. Malcolm MacMillan - an Episcopal priest known to all as "Father Mac". In September 1994 Father Mac, his wife Sally and their three children visited Scotland ending with a visit to the recently opened Clan MacMillan International Centre at Finlaystone. While there, Father Mac was impressed with the amount of work - both physical and genealogical - that had been done at the Clan Centre, but he was also concerned about the amount of work that remained and the pressing lack of funds. Father Mac's arrival at the chief's home followed shortly after the first Clan MacMillan Conclave, which had been wrestling with the problem of how to fund Clan Centre activities - such as the creation of a website, compilation of Project MAOL, and publication of an International Newsletter/Magazine - all designed to bring together the branches of the clan around the world. When he returned home, Father Mac thought that one way to raise money, and also educate MacMillans about their history and to make them aware of the Clan MacMillan International Centre, was to create the "Community of the Tonsured Servant". CTS is patterned after a Celtic religious community because the Clan’s progenitor Gilchrist was a Celtic priest. Father Mac saw it as a partial answer to the practical problem of supporting the Clan Centre, as well as an expression of the religious and charitable principles with which Clan MacMillan has always been associated. The honour of belonging to this exclusive community brings with it the benefit of lectures and seminars about the clan and its history at regular gatherings in Scotland, Canada, or the United States, at which enduring international friendships are celebrated in relaxed and convivial circumstances. As such, it helps foster Clan sentiment and raises money to assist the Clan MacMillan Centre. In 1997, Father Mac retired for health reasons. Chief George MacMillan chose Blanche McMillan (Mrs. John B.) of Burlington, ON, Canada to succeed him as Abbot. The changeover took place at the Clan MacMillan Gathering of North America (CMSNA) in Ottawa, Canada, that year. 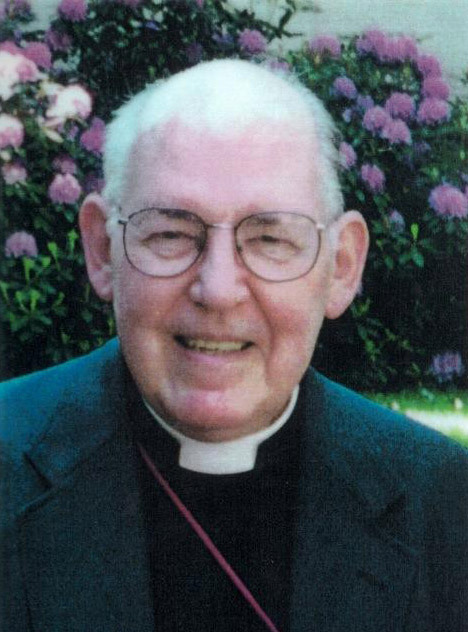 Father Mac was made Abbot Emeritus at the CMSNA Gathering in Banner Elk Presbyterian Church, Banner Elk, N.C. USA in 1998 and received honoris causa at the Gathering in Scotland in 2000 at St. Ninian’s Priory, Whithorn, Wigtownshire, Scotland. The moving and colourful investiture ceremonies devised by Father Mac have been held over the years in several historic buildings in Scotland - Dunkeld Cathedral, Finlaystone House, St. Ninian's Priory, and Iona Abbey - and also in North American Presbyterian kirks, Episcopal churches, Methodist chapels, Catholic churches and University Chapels, featuring MacMillan clergy from various denominations, and Companions from many continents. Father Mac continued to play an active part in CTS until his death in 2008. We owe him a huge debt for his initiative in creating CTS. 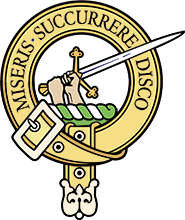 With its international fellowship and charitable works, the Community aspires to be the living embodiment of the Clan MacMillan motto, Miseris succurrere disco - "I learn to help the distressed". Above, MacMillan Dress Old tartan. See more about Clan MacMillan tartan. To serve Christ and our neighbours. To learn to help the distressed. To support our Chief and our clan. All members of Clan MacMillan and its septs are eligible to become Companions Regular. A lifetime membership is $500, payment of which may be spaced over five years. With a reduced $250 fee and with our Chief's approval, members' spouses and children are eligible for membership also. Download a Companion application form as a PDF. Contact the CTS Abbot, Blanche McMillan by email with any questions.